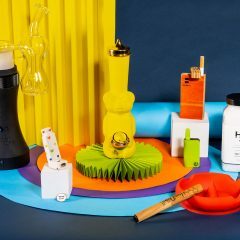 Is your New Year's resolution to try as many new strains as possible? I thought so. 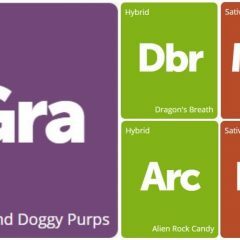 Check out these seven newly added strains and find out if a shop nearby has it in stock! Don't forget to leave reviews for the ones you've tried so others know what to expect. 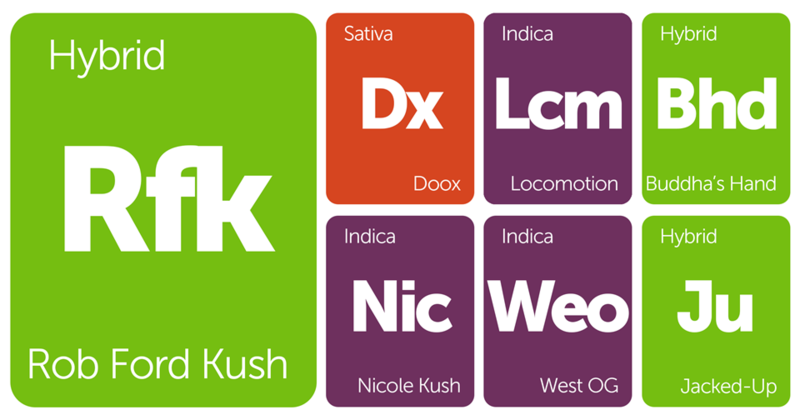 Doox is a sativa-dominant hybrid strain bred from Purple Cow and the legendary hybrid Chemdawg. The effects will set in quickly, delivering an intense body buzz coupled with dreamy euphoria. Doox flowers typically bloom in pale pastel greens masked by a dense coat of frosty resin. Pungent and skunky, this strain is sure to fill the room with its strong sour aroma. Originally bred by Heroes of the Farm, Jacked-Up is a 60/40 sativa-dominant hybrid cross between Jack Herer and Timewreck. It typically provides strong cerebral, uplifting effects ideal for daytime use. These resin-packed flowers boast a spicy, woody aroma with intricate undertones of berry, citrus, peaches, and apricots. As multifaceted as its flavor profile, Jacked-Up buds are a colorful display of lavender and green pastels bursting with orange hairs.